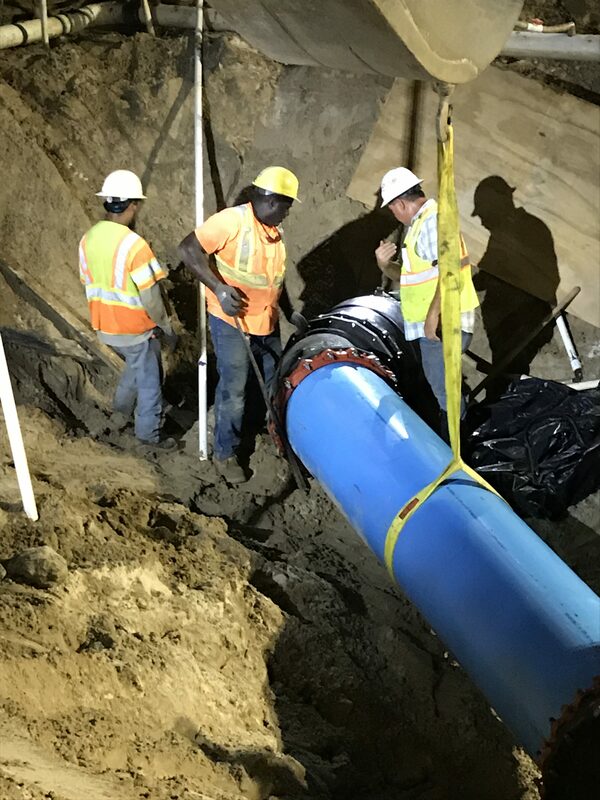 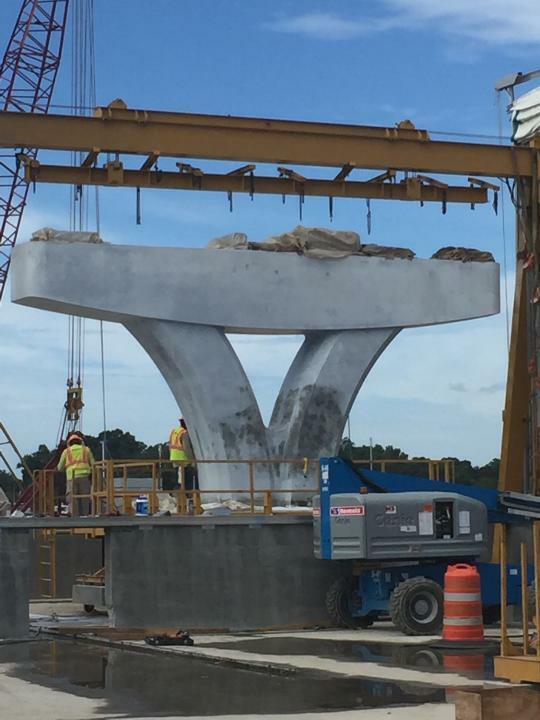 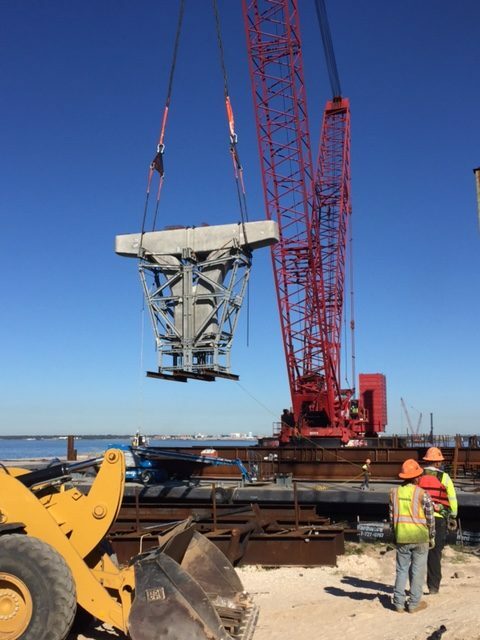 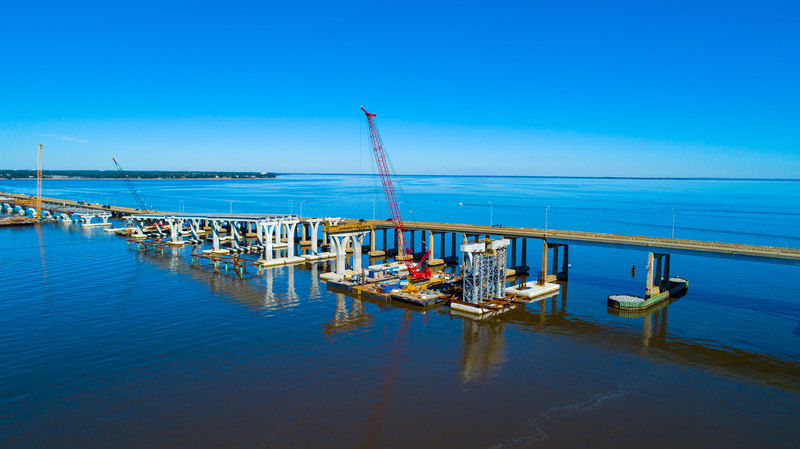 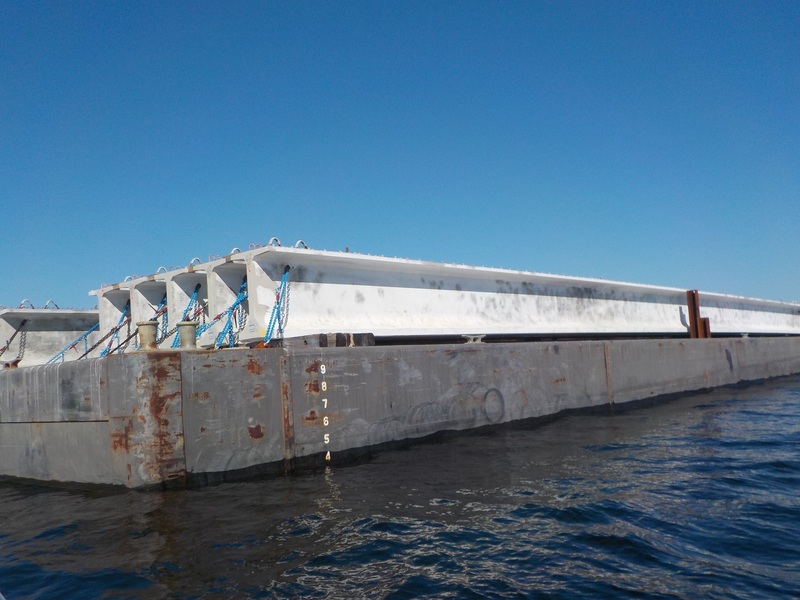 Construction workers at the Bayou Chico concrete casting yard have completed fabrication of the first “trophy piece” for the new Pensacola Bay Bridge. 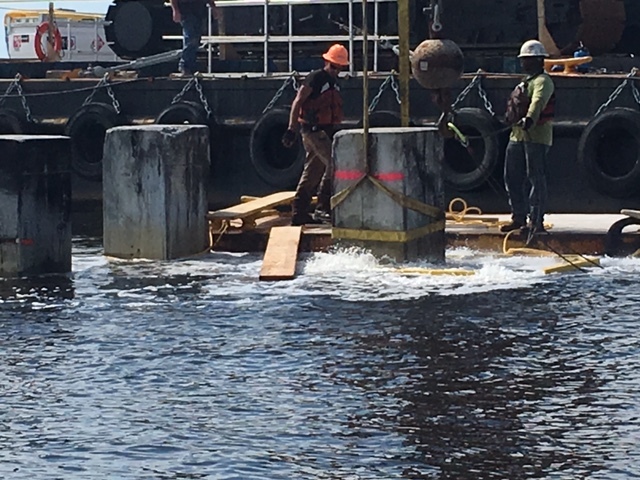 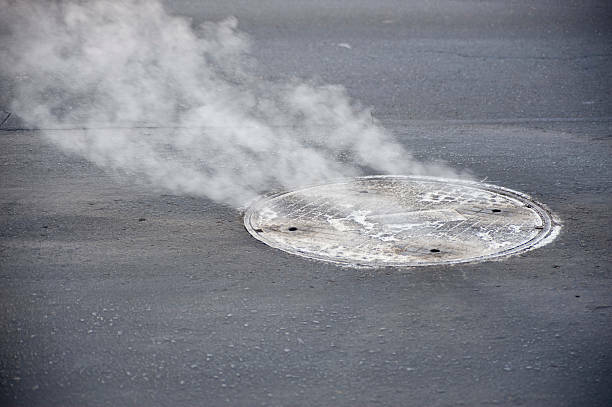 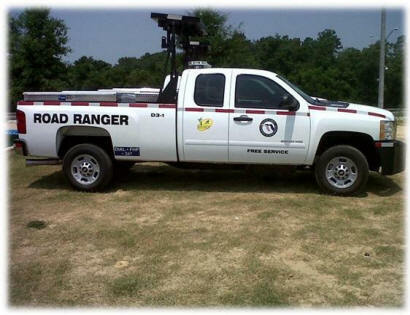 Trophy pieces consist of a concrete footer, column, and cap, all in a single unit. 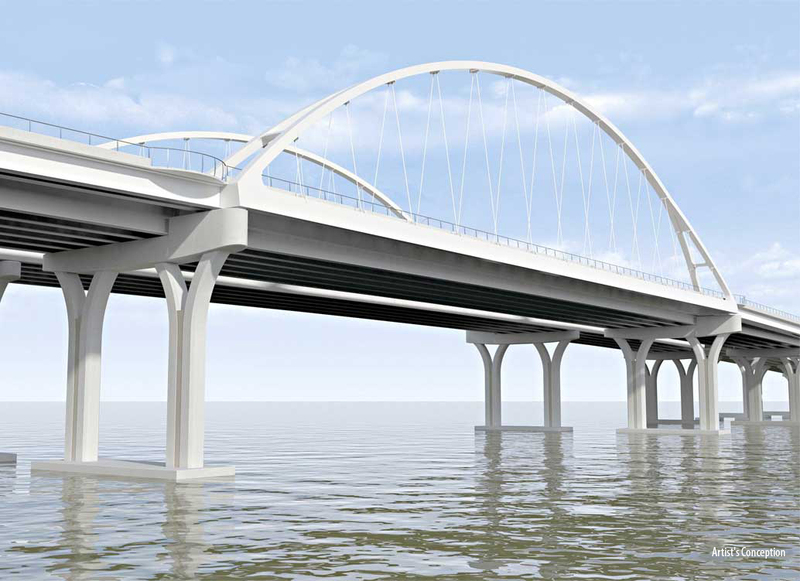 They are referred to as “trophy pieces” because of their resemblance to a trophy or award. 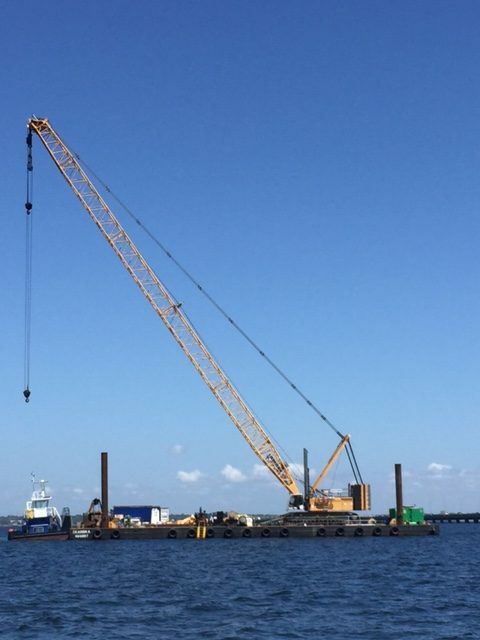 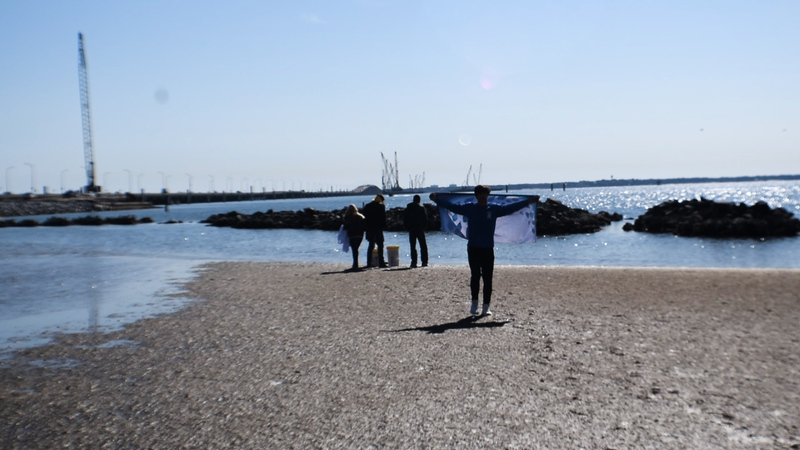 A barge-mounted crane will lift the trophy pieces to set them atop the piles that have been driven into the bay bottom. 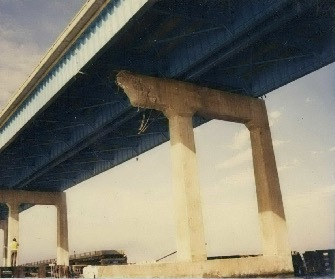 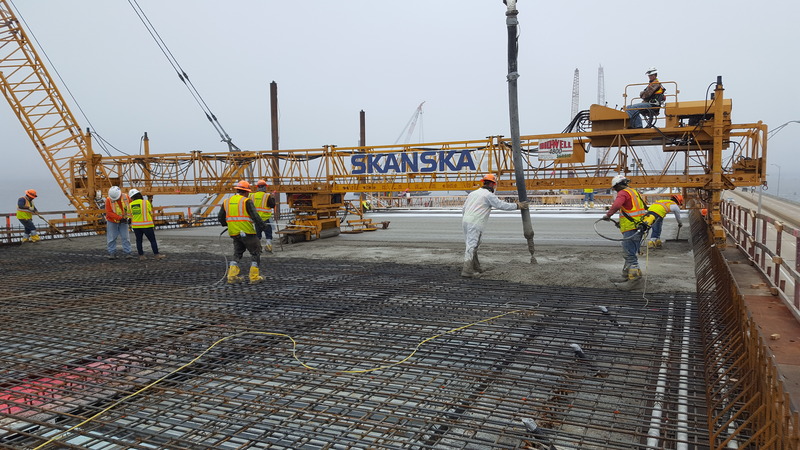 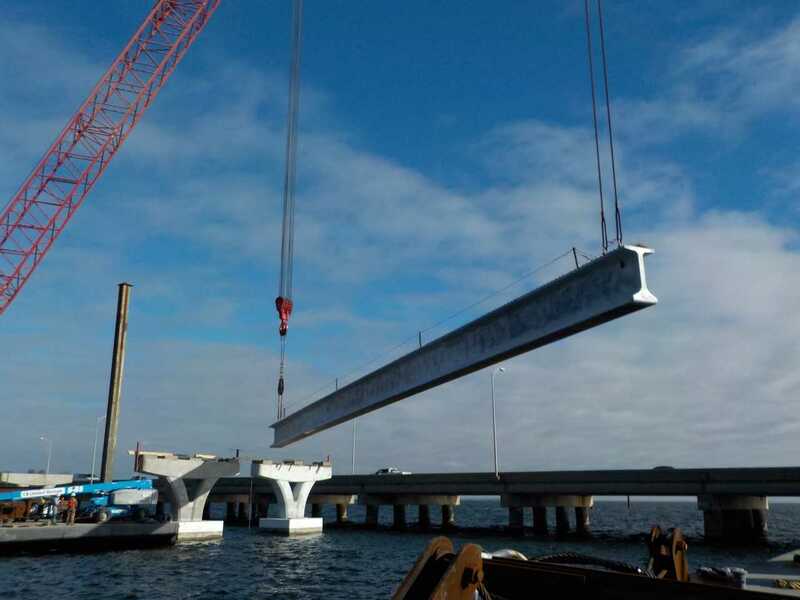 Once they are in place they will be connected one-to-another by concrete beams. 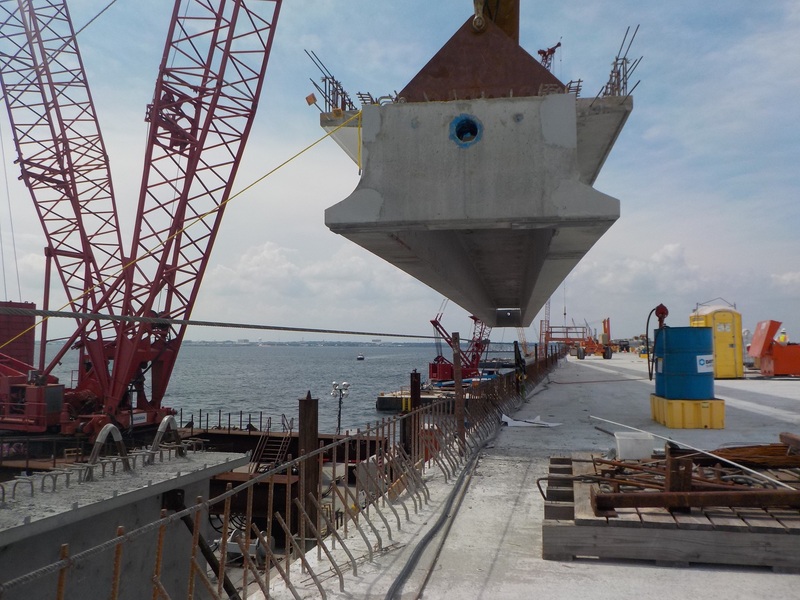 The bridge deck, including the riding surface will be constructed atop the beams. 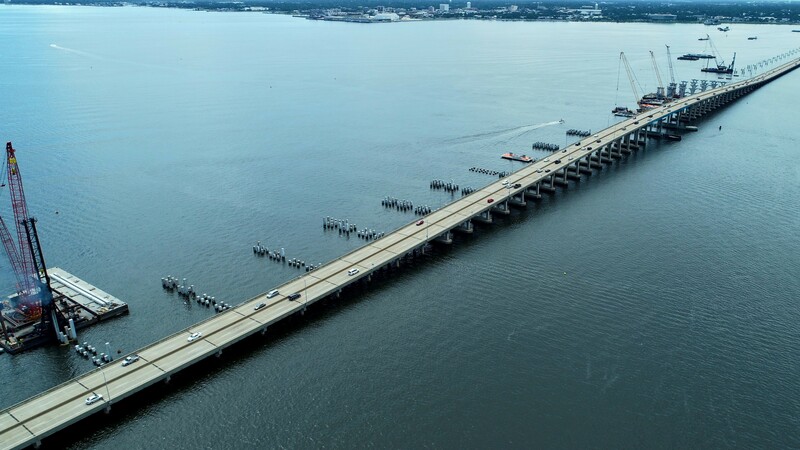 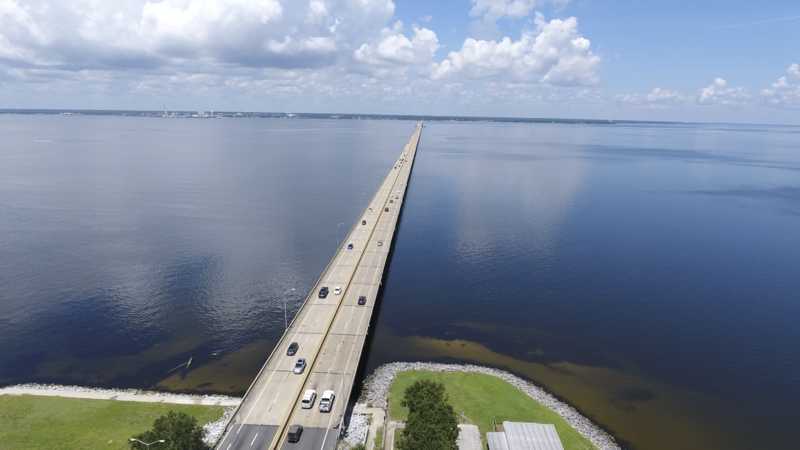 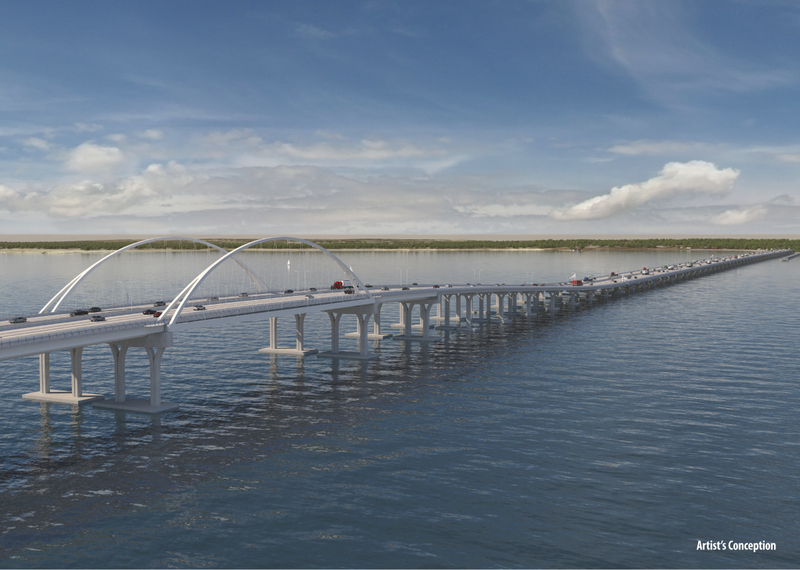 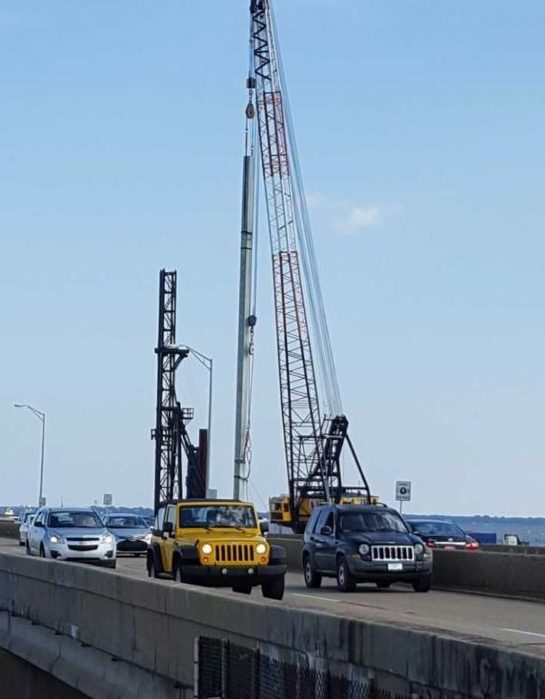 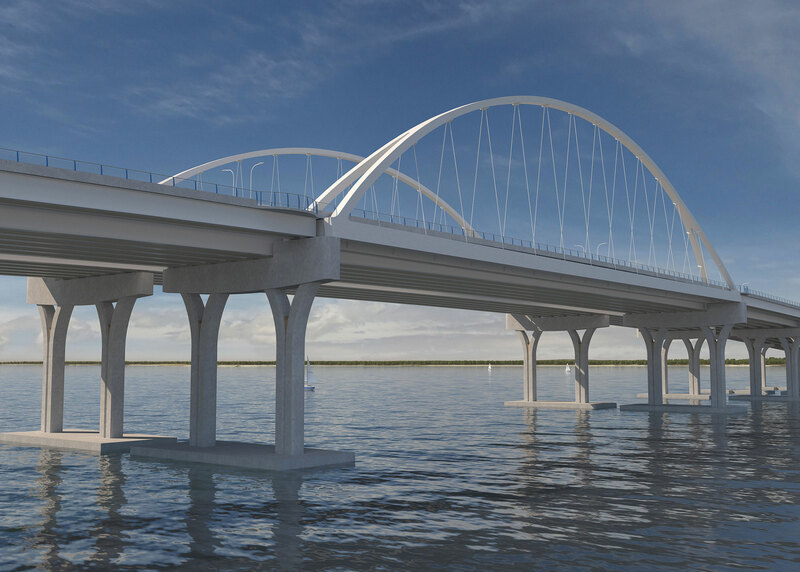 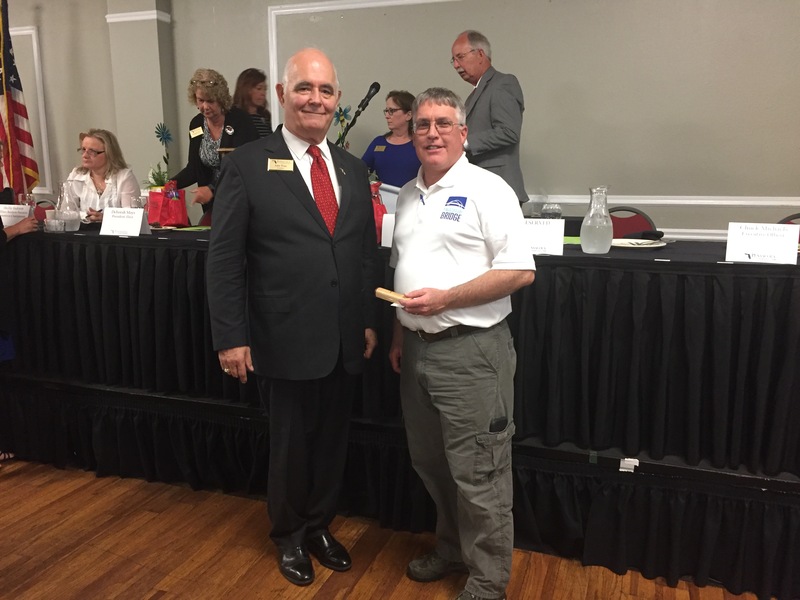 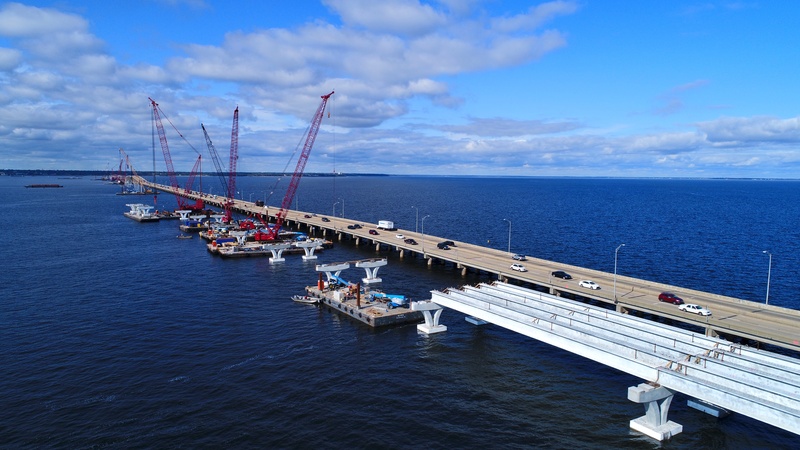 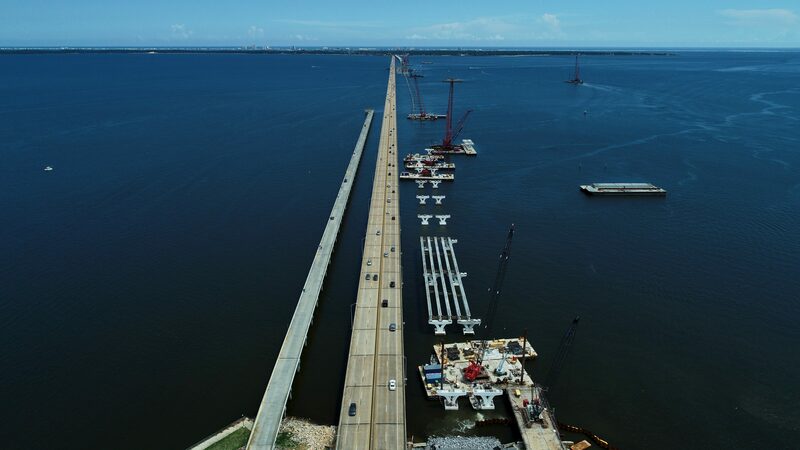 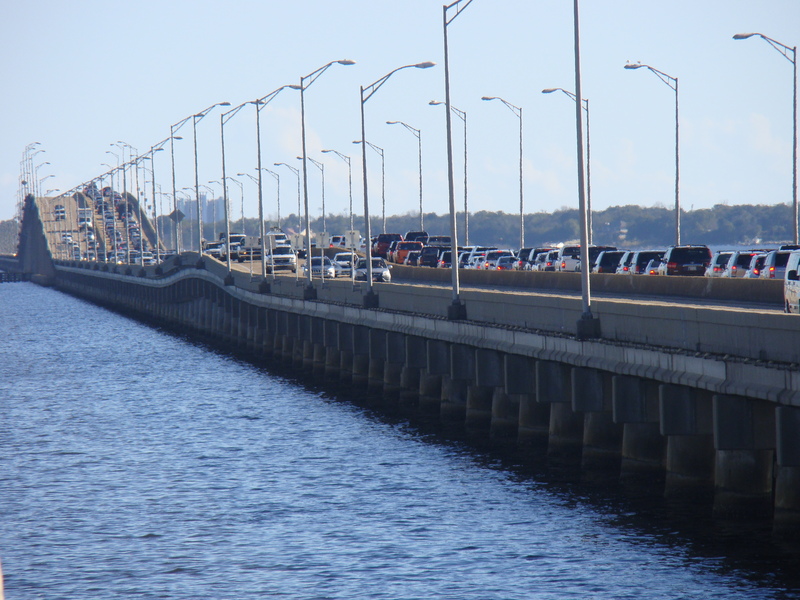 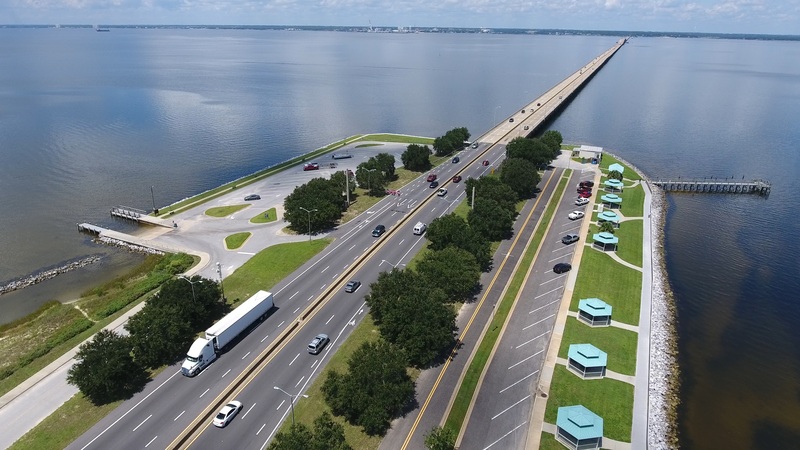 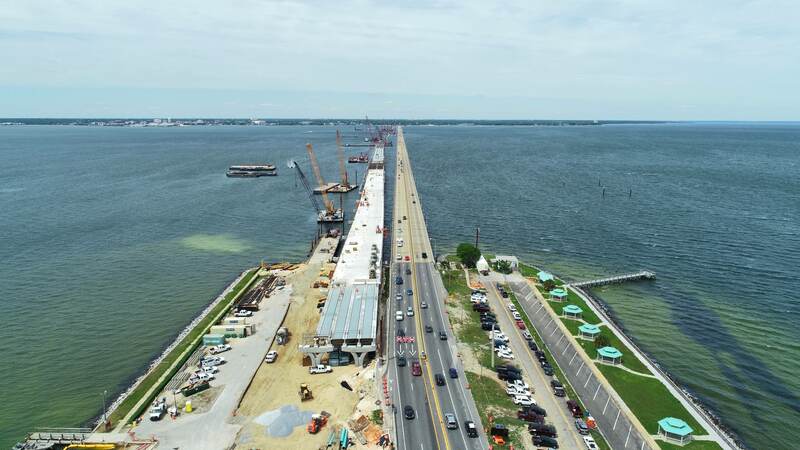 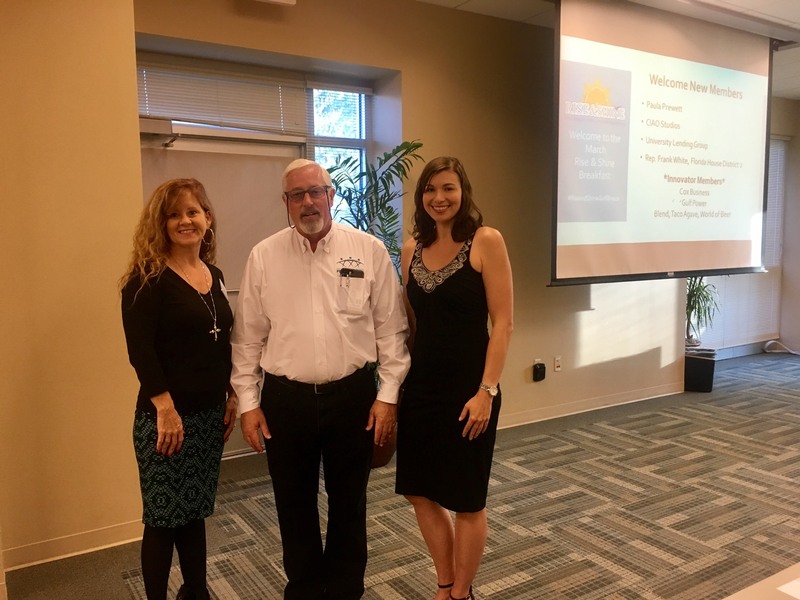 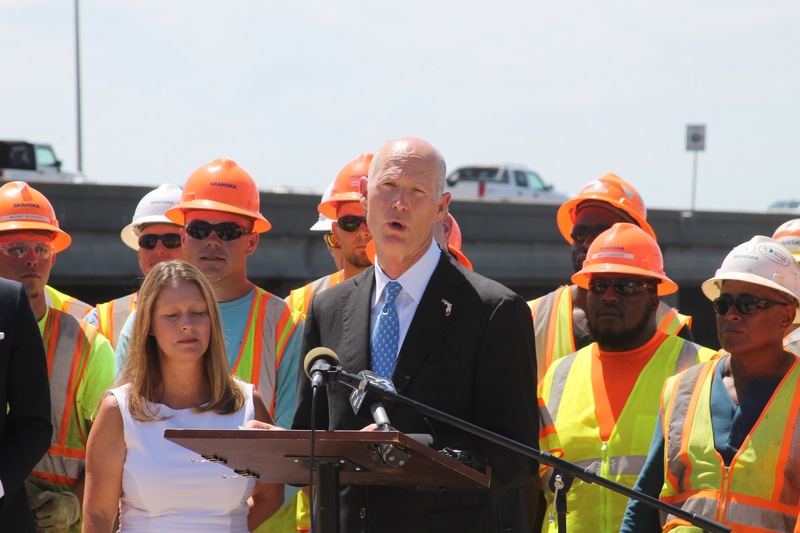 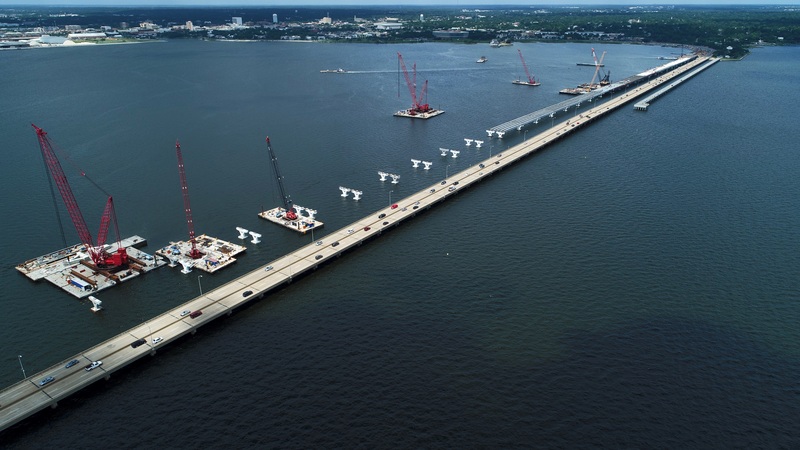 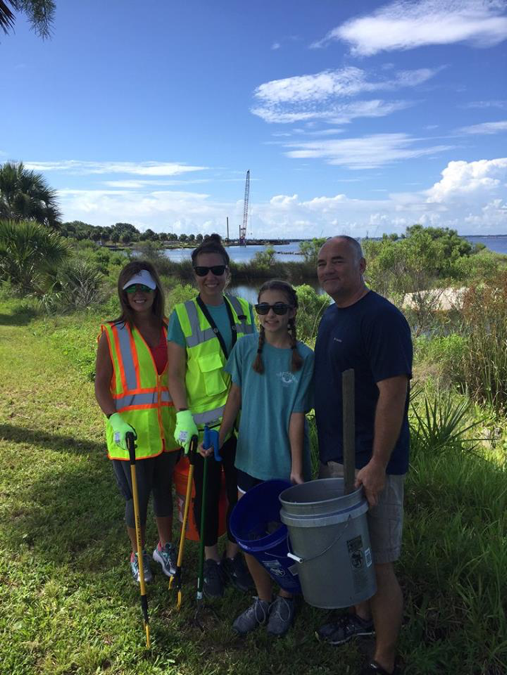 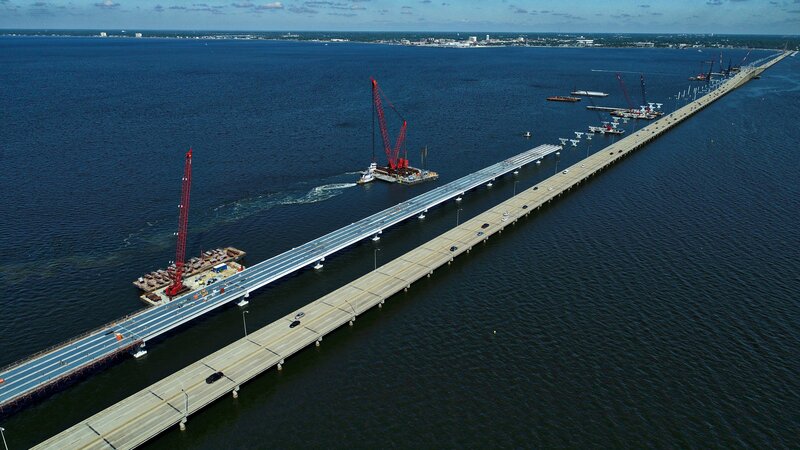 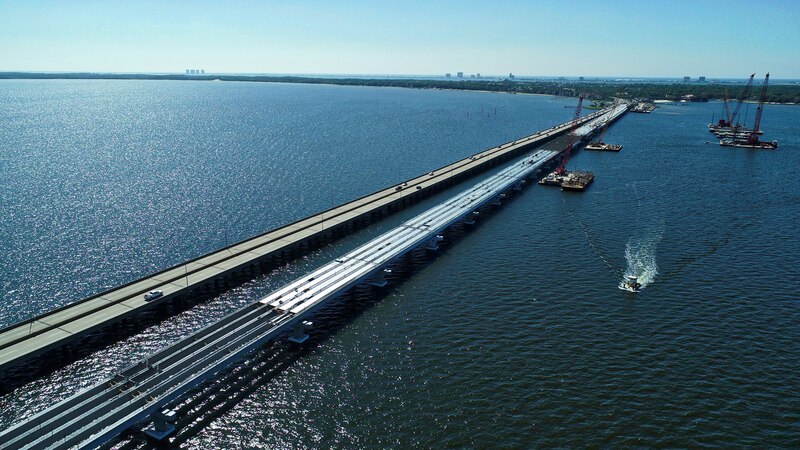 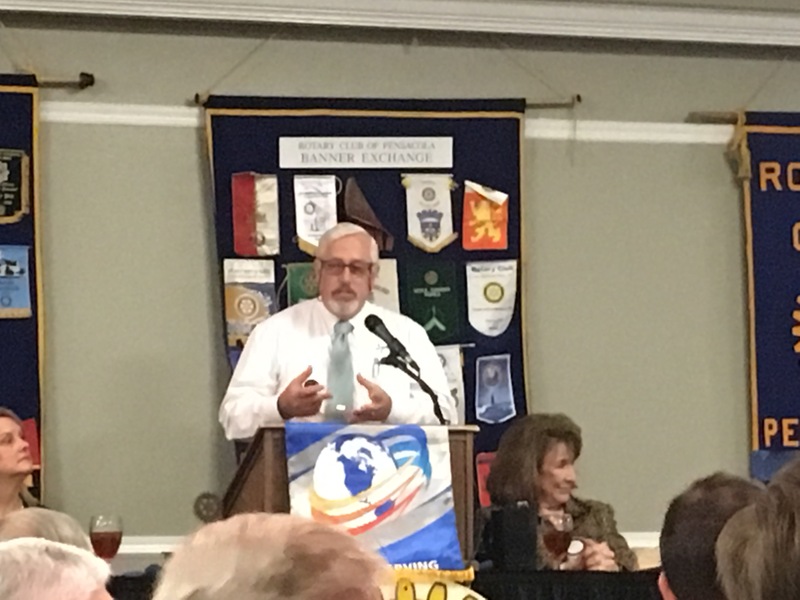 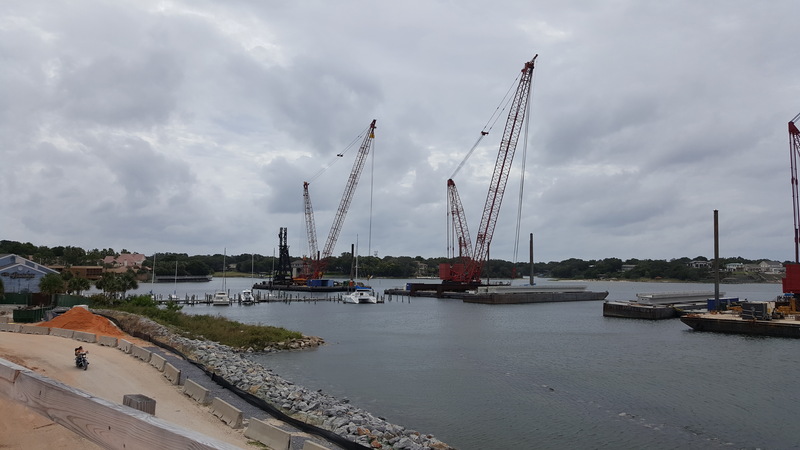 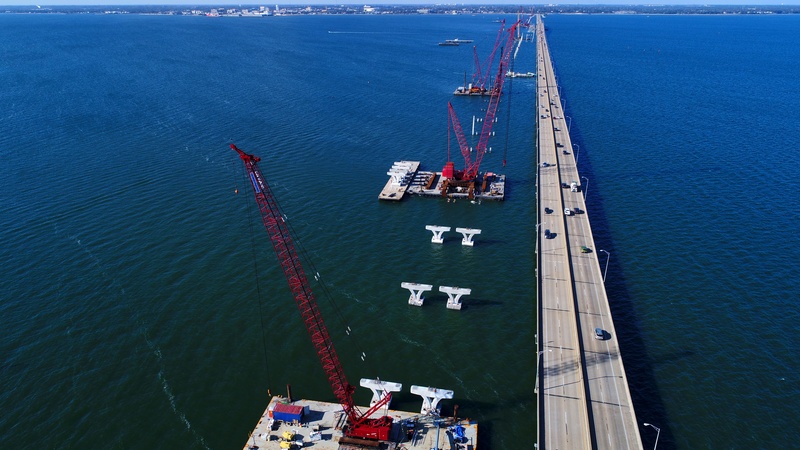 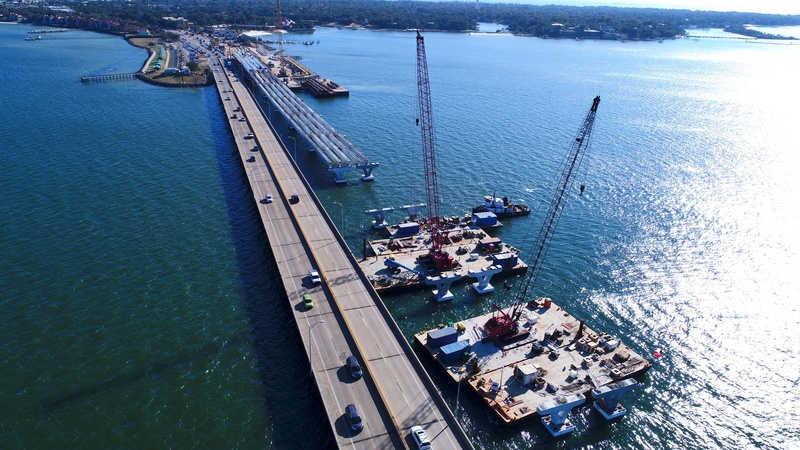 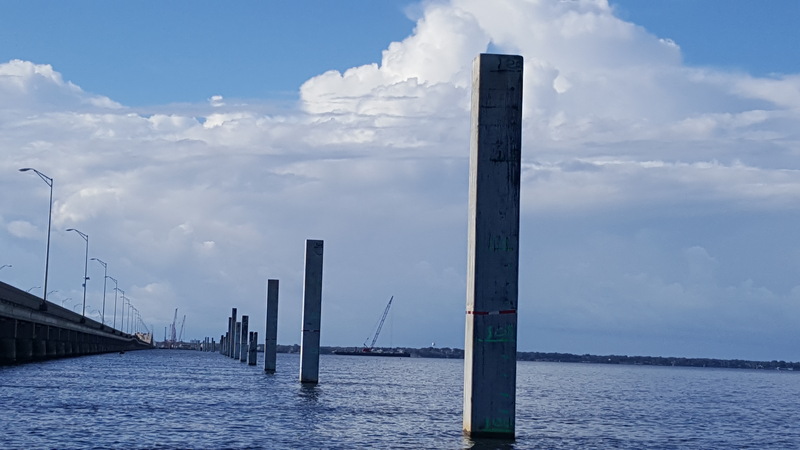 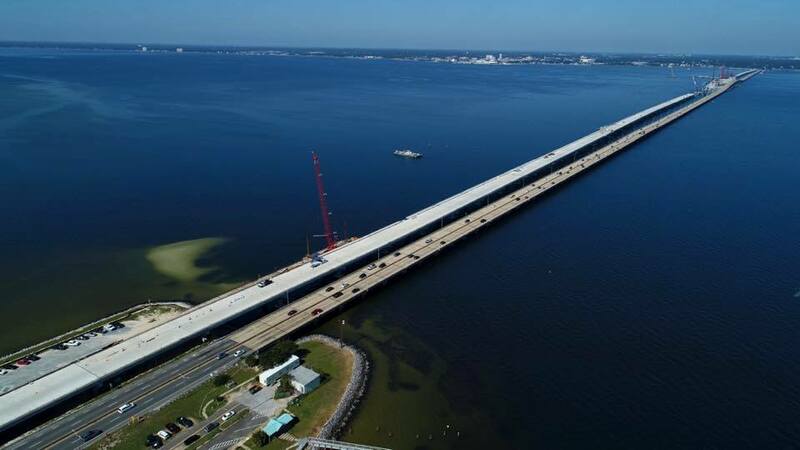 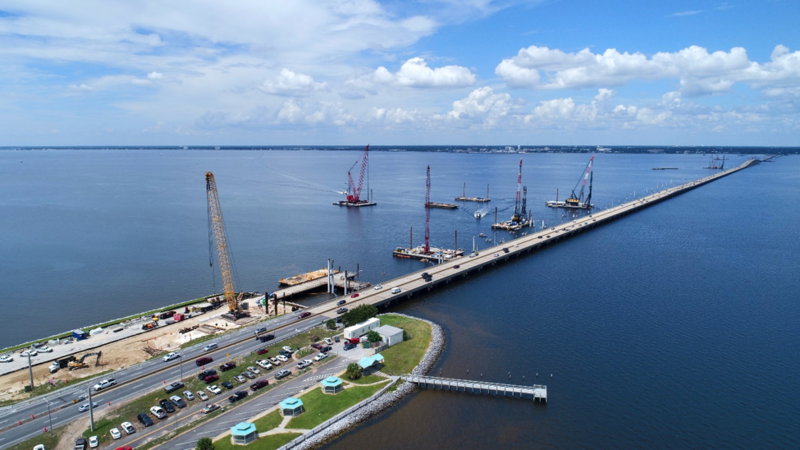 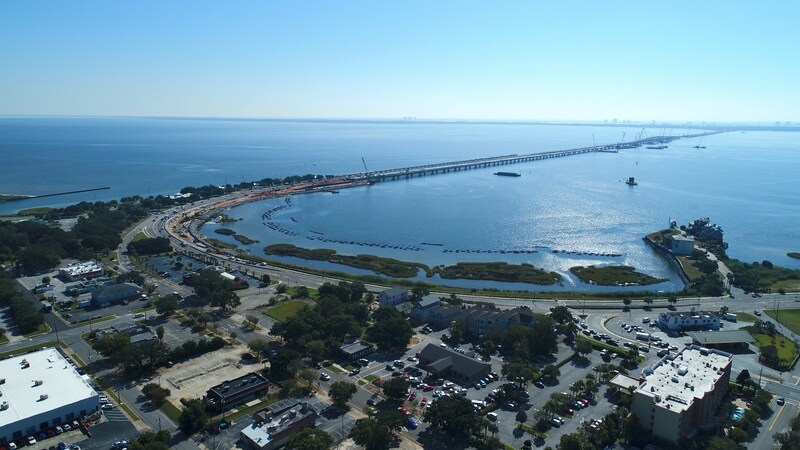 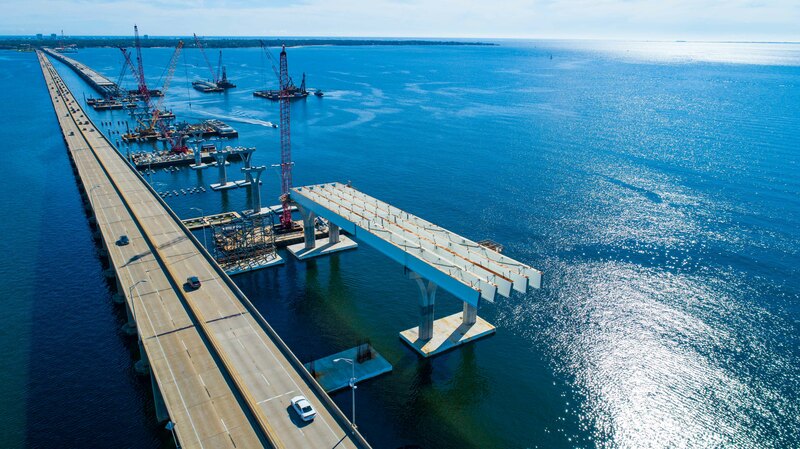 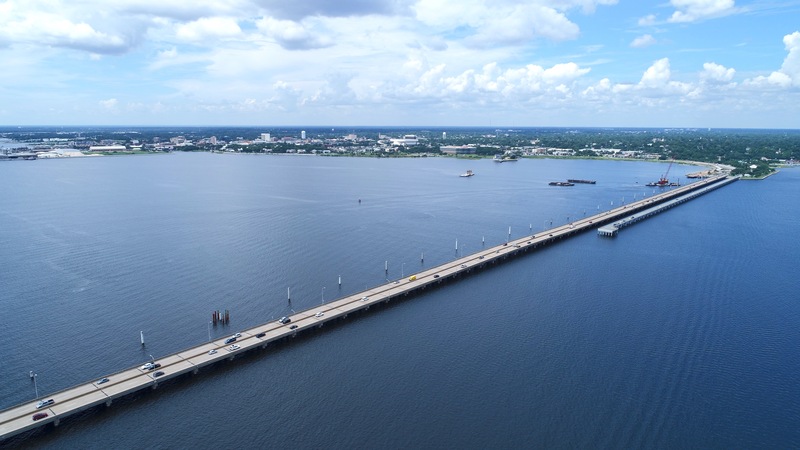 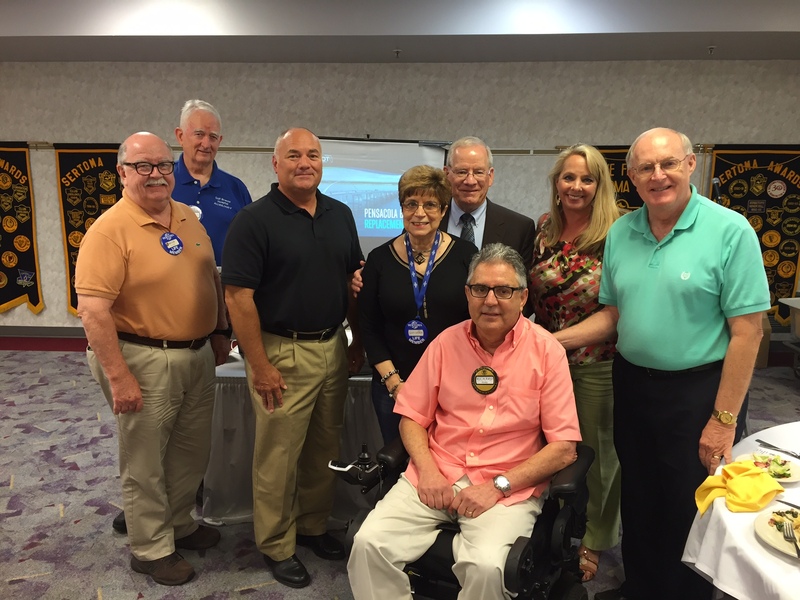 Completion of the first (eventual Pensacola-to-Gulf Breeze) bridge is scheduled for January 2019. 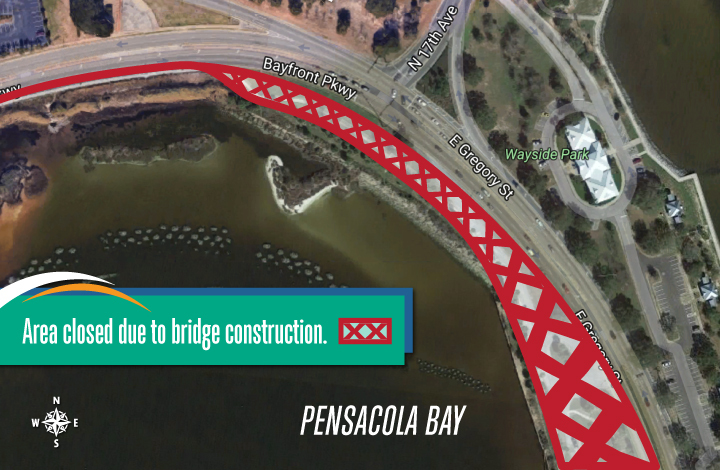 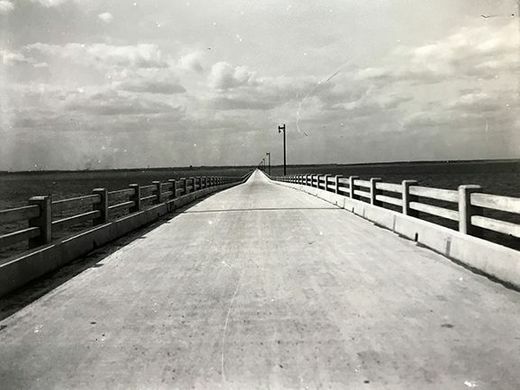 At that time, four lanes of traffic will be transitioned to the new bridge and the current structure will be demolished. 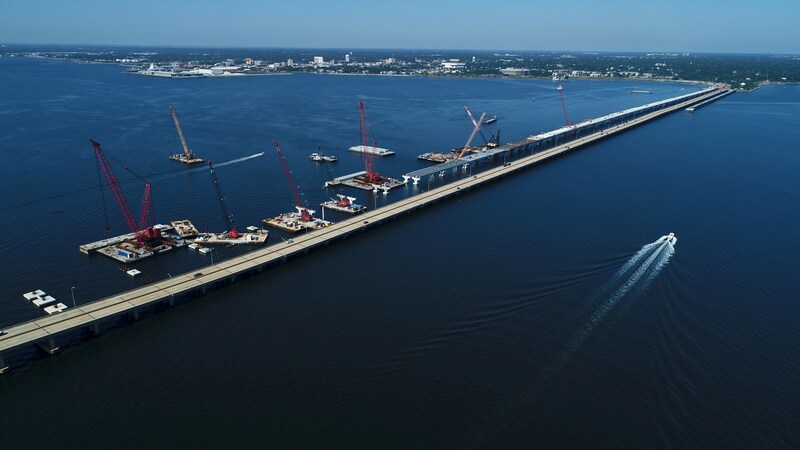 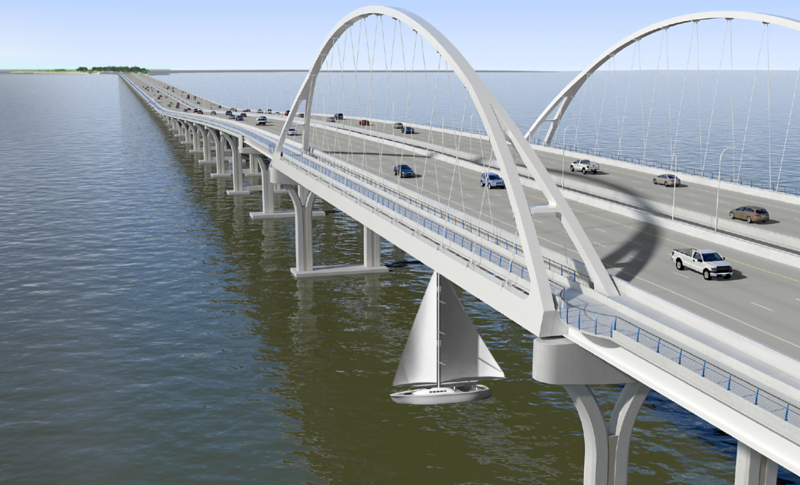 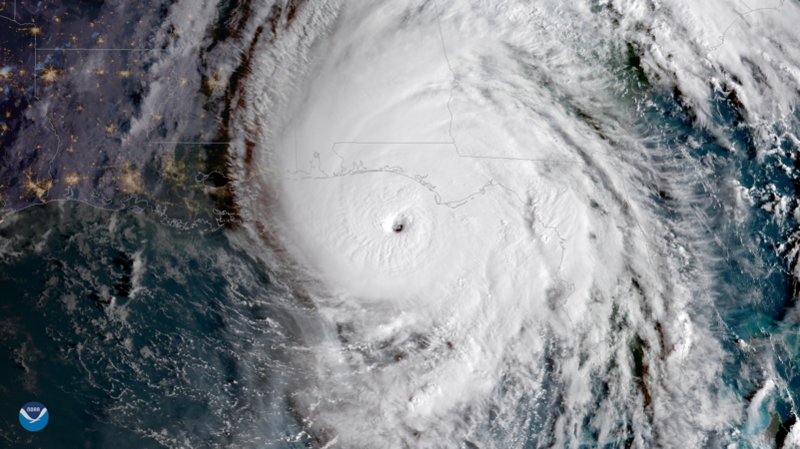 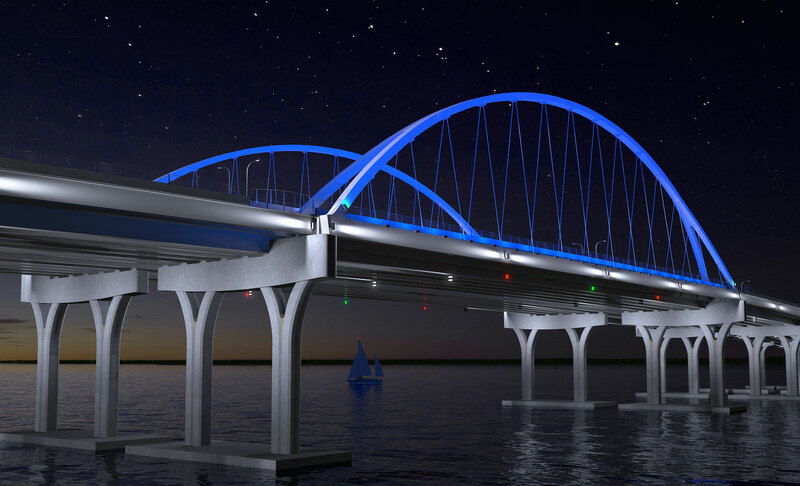 That will allow space to complete the second (eventual Gulf Breeze-to-Pensacola) bridge by summer 2020.